Check Out the Electra Townie! For more on the Electra Townie, click here. Electra's Townies are the hottest comfort bikes on the market. Originally designed for those with back, hip, and knee problems, the Townie is perfect for anyone looking for a comfortable ride. Fun to accessorize, easy to ride, and available in virtually no maintenance models. Do you like to ride a Townie bike everyday to work,or do you prefer to hit the dirt trails on your mountain bike over the weekend? Are you in need of some speed or would you rather just cruise? These are the questions you should ask yourself before picking out a bike. Each one of our bikes comes with their own unique features and capabilities that can tailor to your specific riding needs. You don’t have to be a Tour de France competitor to feel comfortable in our store. We have a huge selection of comfort and upright seating bicycles. 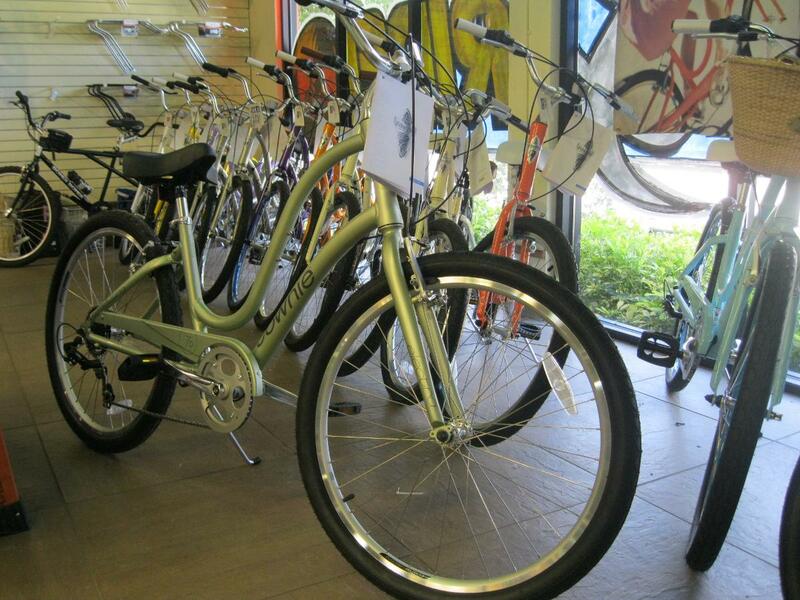 Fun to accessorize, comfortable to ride, beach cruisers are the perfect Florida bike. Don't forget fenders and baskets. Our shop is filled with the latest and greatest top-brand bikes in the industry. 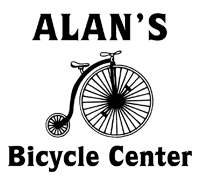 Please view the following list to get a feel of the different kinds of styles we sell at Alan’s Bicycle Center. Stop by our shop to view our bicycle inventory or call us at 772-562-2453 to find out more about our bicycle repair and maintenance services.